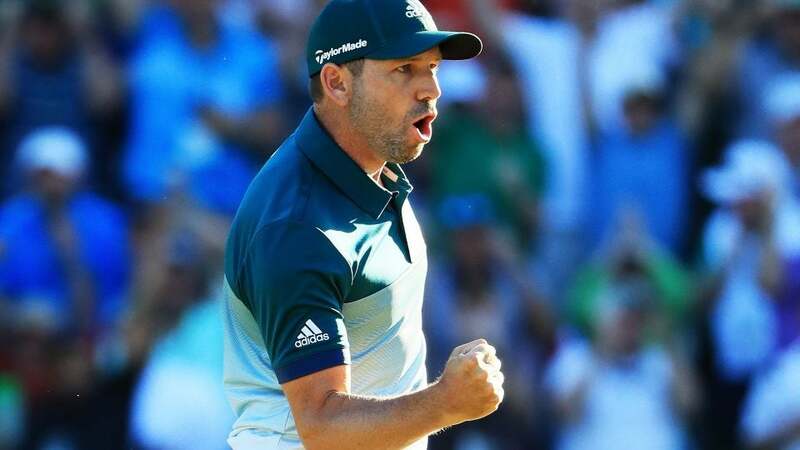 Sergio Garcia celebrates his eagle putt on the 15th hole on Sunday at the Masters. In what turned into a 1-on-1 match to close out the Masters, a major turning point late in the round was Sergio Garcia's eagle on the 15th hole. The scene: Garcia pulled out a miraculous par on the 13th hole after hitting a drive in the woods and followed that up with a birdie on the 14th. He stood on the 15th tee trailing Rose by one stroke. After mashing a 330 yard drive, Garcia faced 192 yards for his second shot into the par 5. His approach almost landed straight in the cup, but stopped about 15 feet from the hole. The eagle putt was on a perfect line and took that one final rotation into the cup. The fist pump will be remembered for a while, moreso if Garcia can pull off the victory in a playoff over Rose.